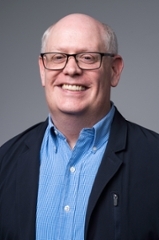 Ryan Prendergast's current project analyzes early modern Spanish theater's entremés as a marginal space used to critique Catholic Spain's religious and cultural norms. He is also exploring Alonso de Castillo Solózano's literary representation of class and gender. 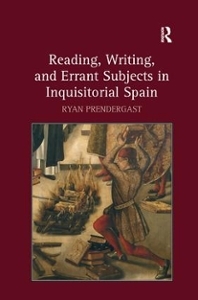 Reading, Writing, and Errant Subjects in Inquisitorial Spain. Ashgate, 2011. "The Body Politic and Its Parts in El médico de su honra." Bulletin of the Comediantes, vol. 62, no. 1, 2010, pp. 31-46. Project MUSE, doi:10.1353/boc.2010.0000. "Fear and Control in El celoso extremeño." Hispanic Journal, vol. 31, no. 2, Fall 2010, pp. 9-22. "Inquisitorial Theatrics and the Control of Errant Subjects in Don Quixote." Modern Language Studies﻿, vol. 38, no. 1, Summer 2008, pp. 8-25. JSTOR, www.jstor.org/stable/40346977. "Constructing an Icon: The Subjectivity and Self-Referentiality of Sor Juana Inés de la Cruz." Journal for Early Modern Cultural Studies﻿, vol. 7, no. 2, Fall-Winter 2007, pp. 28-56. JSTOR, www.jstor.org/stable/40339579.